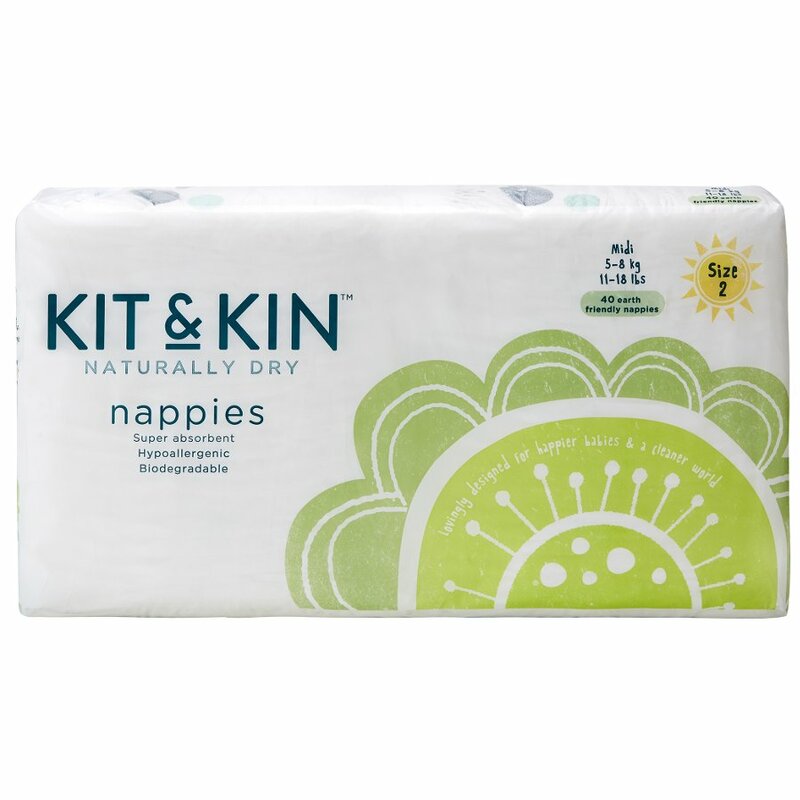 Eco-friendly and sustainable nappies from Kit & Kin, with a super absorbent chlorine-free fluff pulp core harvested from sustainably managed forests. 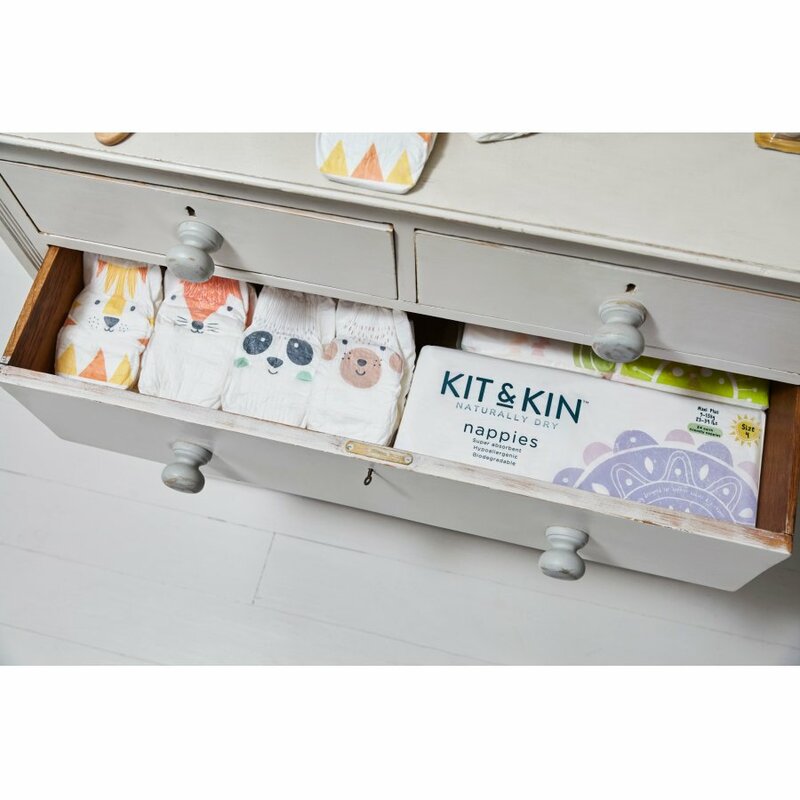 The nappies will stay dry for up to 12 hours and with secure fitting moisture barrier cuffs there will be no little leaks. 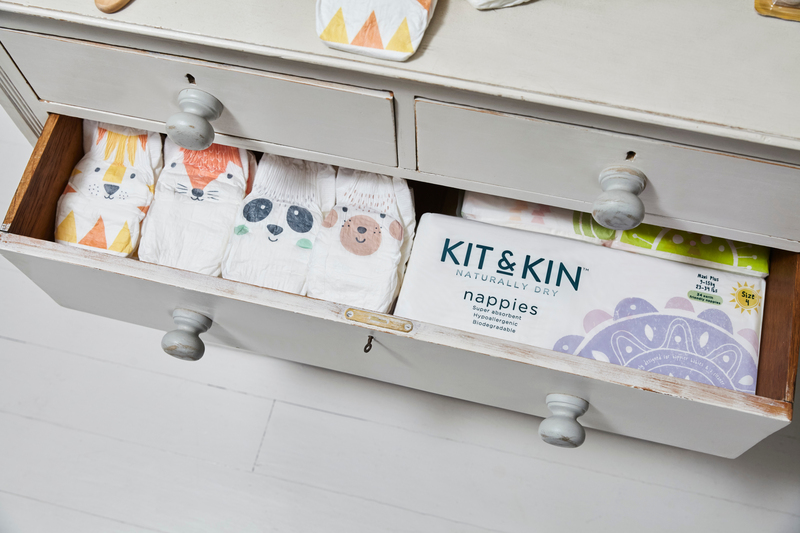 Each part of the nappy is made with naturally derived, plant based, or oxo-biodegradable materials making them kinder to the planet, and they will degrade at a much faster rate than regular disposable nappies. Made with your baby’s comfort in mind, the nappies have a soft waist and stretch panels that will adjust to your baby’s body shape, allowing for a greater freedom of movement. They are also made with significantly less chemicals than standard nappies, so there is less chance of skin irritation, eczema or nappy rash. 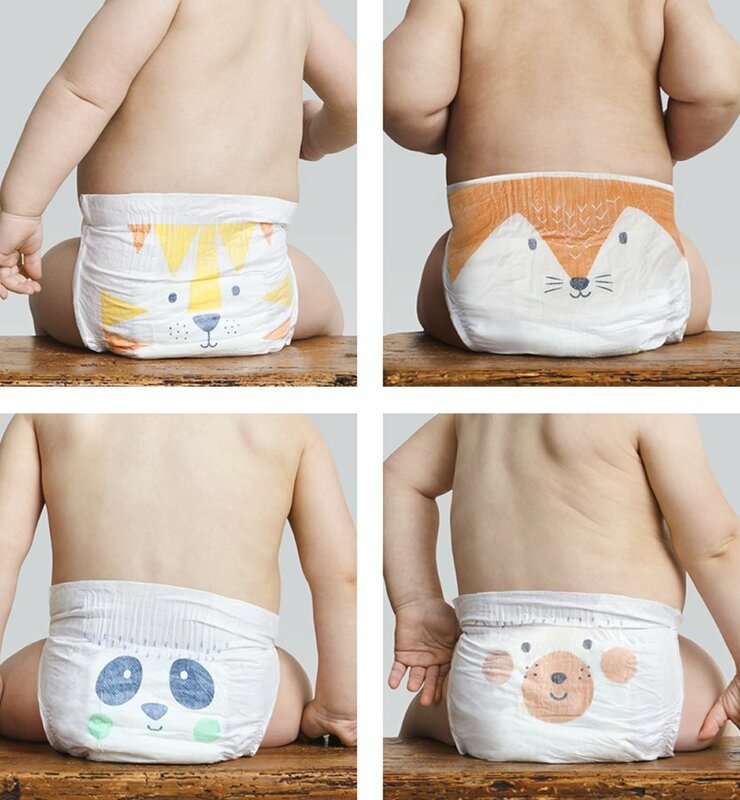 Each nappy features a cute animal friend design printed on the bum in natural, vegetable inks that are safe for baby. Please note that styles vary and we cannot guarantee which design you will receive. Size 2 – Midi suitable for babies weighing 5-8kg or 11-18lbs. 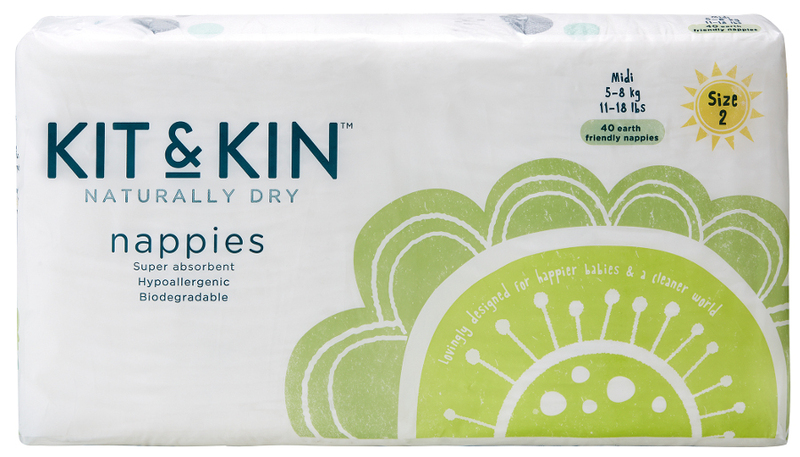 There are currently no questions to display about Kit & Kin Eco Disposable Nappies - Midi - Size 2 - Pack of 40.